With ever changing innovation that brings complexity to modern processes & automation, unique problems arise to handle fluid, gas and granulate transfer. 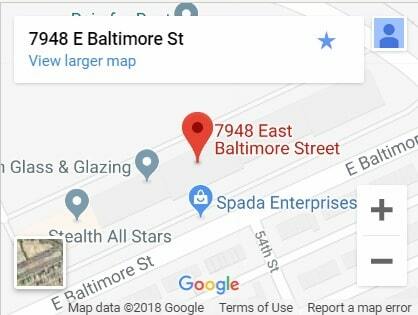 Inevitably, this brings about the need to deviate from using standard industrial hose solutions and, instead utilize custom hose assemblies. 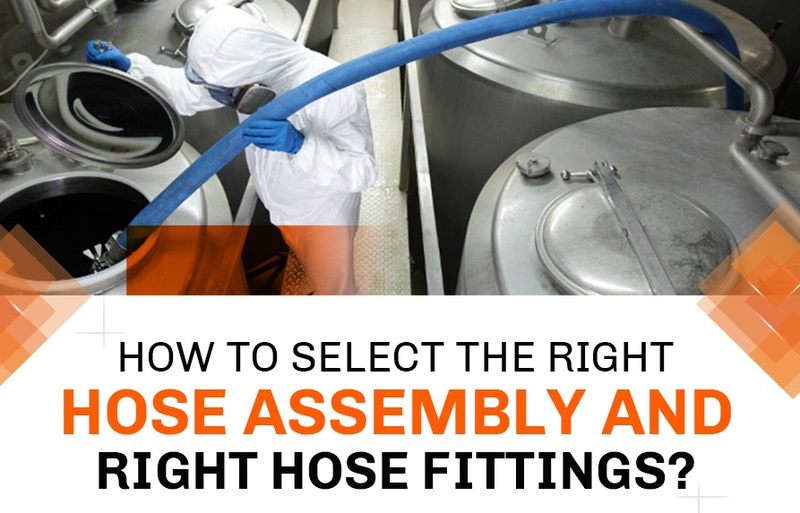 Whether you need to have an end connection jump one size, up or down, modify the design and machining of a custom hose fitting, or ensure hose protection to meet the rigors of the process environment; FlexFit Hose delivers custom hose assemblies for your special projects. Manufacturers as well as OEM Companies continue to employ FlexFit Hose’ expertise to overcome issues of process & automation systems design that warrant custom hose assemblies. Jump sizes or “step up / step down” hose fittings – FFH machines and, in some cases, even stocks hose fittings allowing the next larger or smaller size of industrial hose and metal tubing to be connected. 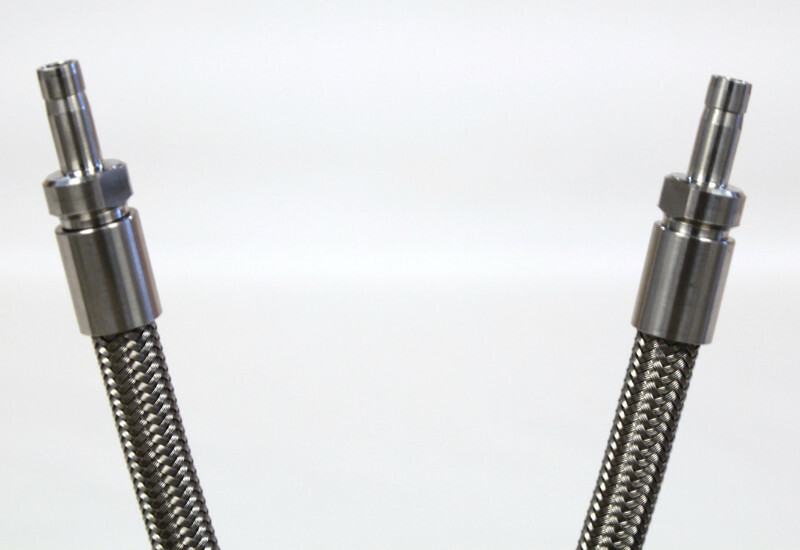 So when you need to use a smaller, or larger hose fitting to connect up the next size of hose assembly or metal tubing, we can create a custom hose assembly to solve your issue. 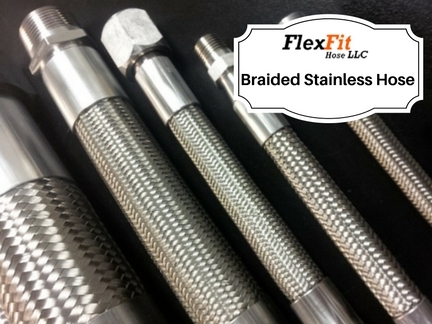 Material and braiding options – FlexFit Hose can help design your custom hose assembly by considering different braiding materials, such as hastelloy or stainless steel grades aside from our standard 304 SS reinforcement. Double stainless steel braiding for PTFE lined hose, depending on I.D. and Custom PTFE Hose Assemblies core thickness, can enhance flexibility or provide different pressure and temperature tolerances. Special hose assembly cleaning – for oxygen service, nitrogen and other chemicals requiring protocols to remove contaminants and particles. With our team’s extensive knowledge & skills in hose assembly fabrication, confirmation of its construction, crimp ferrule analysis and, or CNC machining, FlexFit Hose continues to provide custom hose assemblies when the need for a solution must go beyond typical process & automation requirements. 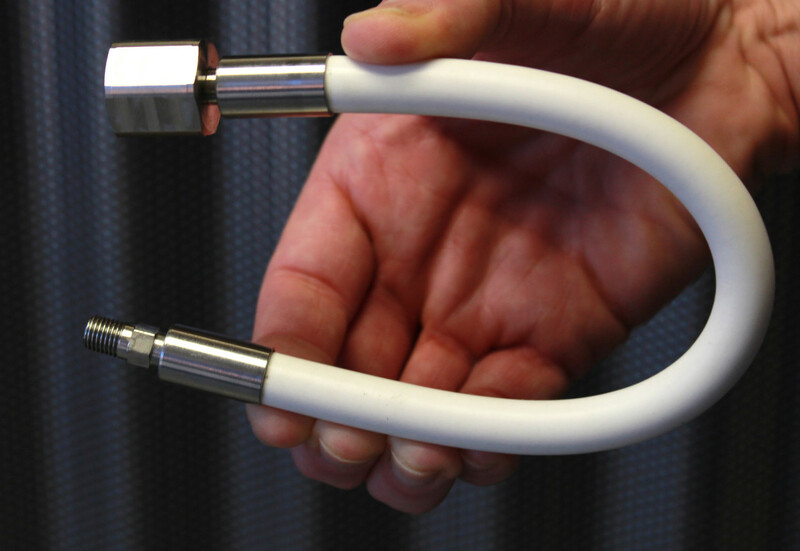 Do you require a custom hose assembly solution?